Have you read the December issue of Food and Wine magazine? I think it's a keeper - lots of holiday entertaining and gift-giving ideas, and some ideas on what to do with food gifts you recieve. 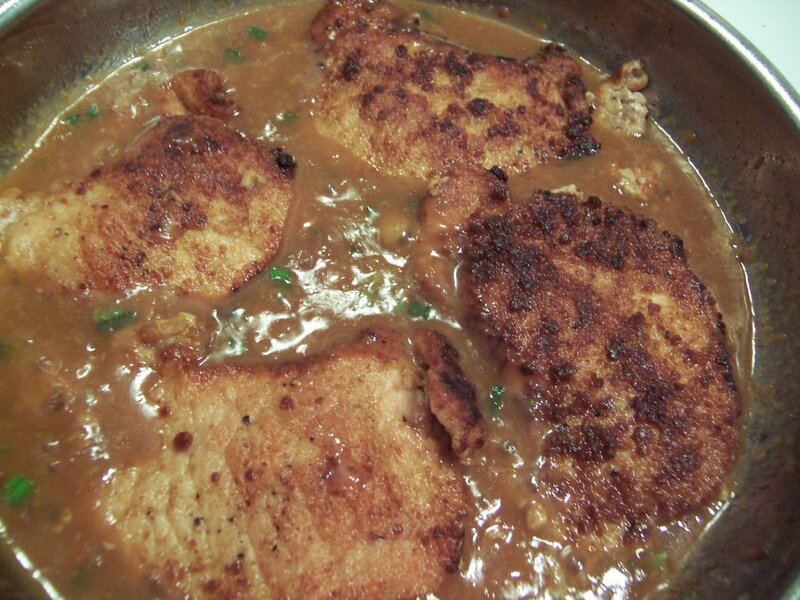 This recipe for Pork with Gingersnap Sauce jumped out at me - but who gives people gingersnaps? Maybe I am the wrong age or live in the wrong part of the country, but either way, bought or gifted, this is a great way to use gingersnaps. Whether you follow it to the letter or adapt like I did, it's a fast and easy weeknight recipe. Crush gingersnaps in a food processor or with a meat tenderizer in a plastic bag. 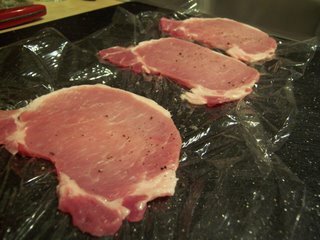 Next, between two layers of plastic wrap, gently pound pork cutlets to about 1/2 inch thickness. Season lightly with salt and pepper. 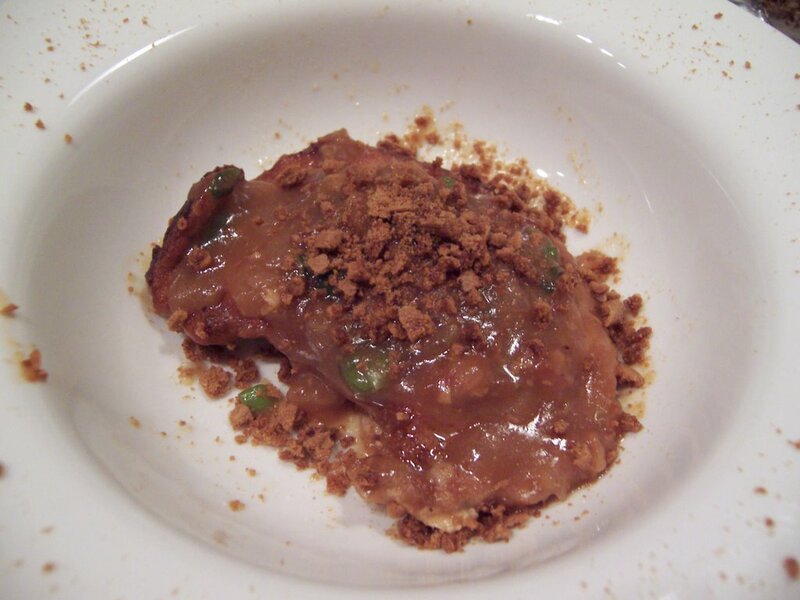 Meanwhile, mix half of the fine gingersnap crumbs with the flour, salt and pepper. Dredge chops in the mixture and saute in olive oil over medium high heat until just cooked through and brown on either side. Remove from pan and set aside. Add shallot to the pan, then vinegar until reduced. Next add brandy and cook until reduced. 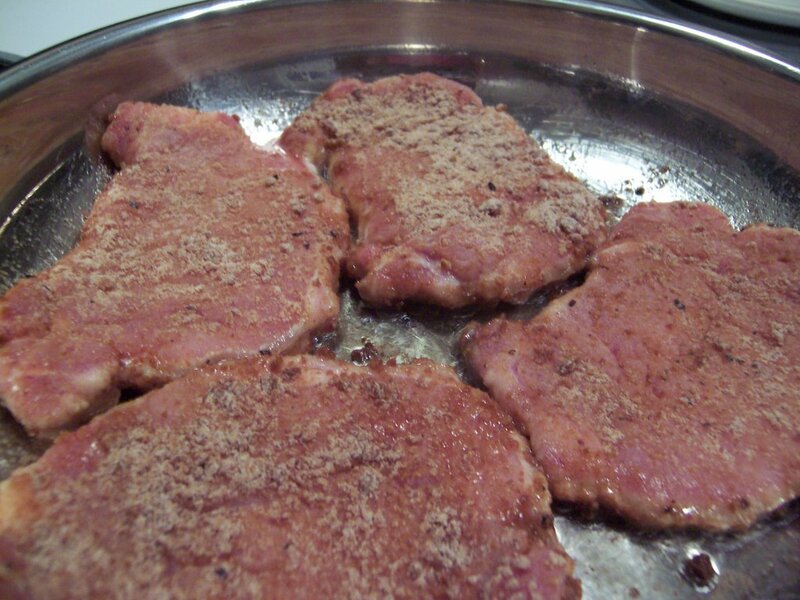 Add cider, simmer on high for a minute and add remaining fine gingersnap crumbs, stir to make a slightly thick sauce. Stir in green onions, return chops to pan to re-warm and serve with sauce spooned over the cutlets. Garnish with crumbled gingersnaps. This sound like a skillet version of sauerbraten!!! I'm going to make it tonight! !